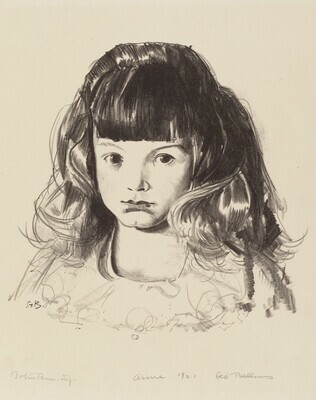 Bellows, Emma S. George W. Bellows: His Lithographs. New York: Alfred A. Knopf, 1927, no. 91. Mason, Lauris. The Lithographs of George Bellows: A Catalogue Raisonné. Millwood, NY: KTO Press, 1977, no. 136. Mason, Lauris. The Lithographs of George Bellows: A Catalogue Raisonné. San Francisco: Alan Wofsy Fine Arts, 1992, p. 205, no. 136.